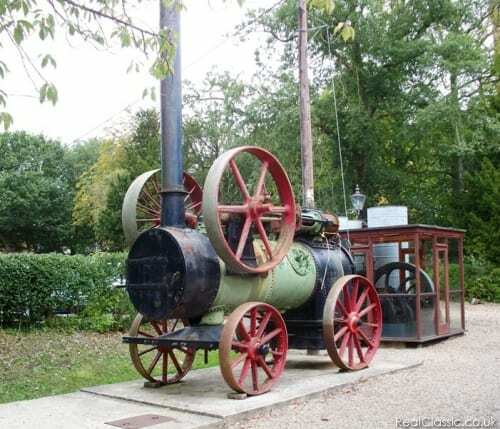 This museum is situated in the grounds surrounding Caister Castle, which is fairly close to Great Yarmouth in Norfolk. 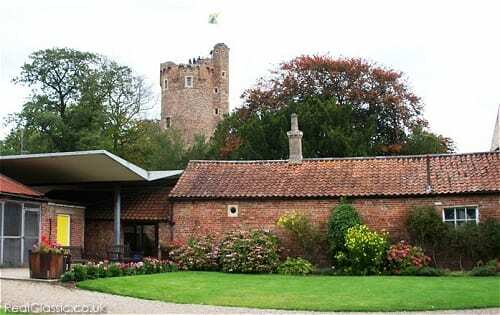 The castle was built in 1432 and it is one of the earliest brick buildings in England. Most of the castle is in ruins; however there is a 90-foot tower still intact, and visitors can climb to the top for a great view of the castle remains and the surrounding area. The motor museum itself is housed in a purpose-built exhibition centre, which is quite new. The display is very well laid out. I was just taking a photograph of a 1946 Belgian Socovel electric motorcycle when one of the assistants explained that the taking of photos inside the museum was not allowed (I had missed the sign telling me of this!). The Socovel was the first motorcycle that I saw in the collection; it had girder forks, drum brakes and a large tin box where the engine would be containing the batteries. The cars and motorcycles on show were intermingled. The display of classic cars was excellent. Drifting past some of these I found three 1970s motorcycles. Moving further around the hall I came across a section of 30 or so motorcycles in one group. Now I was getting even more interested. They have a 1896 Leon Bollee on display; also a 1903 Minerva, ranging up to a 1990s Harley-Davidson. Most of the well-known makes were represented there. Triumphs, Matchless, BSAs, a 1954 Francis-Barnett and a 1975 CZ completed the group. Wandering past some carriages that were originally horse-drawn, I came across a collection of bicycles and then some more cars, and then another group of motorcycles. 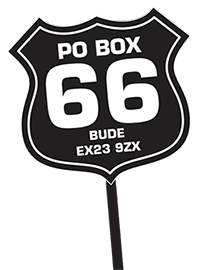 Five of these were fitted with sidecars – there was a 1931 Indian outfit, and also a 1937 Brough Superior fitted with a Brough sidecar. Another was a yellow AA outfit – a familiar sight on the roads in the 1950s. All in all this is a wonderful collection of vehicles – cars, motorcycles, pushbikes, horse-drawn carriages, prams, pedal cars, mopeds and other memorabilia. Talking to one of the staff I was told that there are 120 cars on display and I counted 75 motorcycles, including the mopeds. Outside of the museum exhibition centre there are the castle grounds to wander around, and there is also a picnic area and a tea room with refreshments. 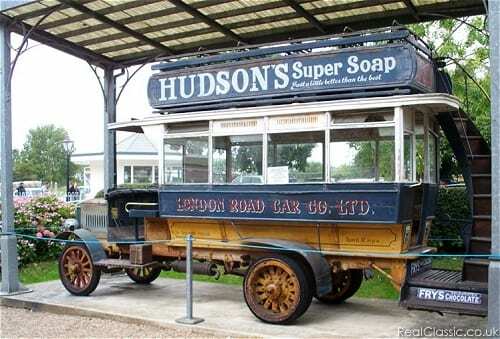 Whilst wandering around the grounds, I spotted a tram, a steam railway engine and a 1913 open-top bus. From what I was told the bus could be moved into the exhibition hall during the winter months. The museum is open from the middle of May until the end of September daily except for Saturdays, from 10am to 4.30pm. This is a really nice display of vehicles and it is well worth a visit. 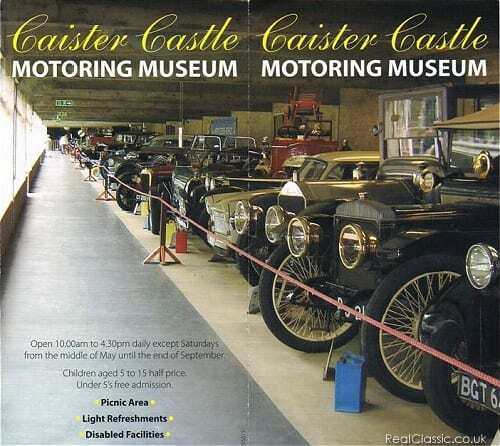 It is probably the largest privately-owned motor museum open to the public in the UK. See www.caistercastle.co.uk or phone 01572 787649.